New poll results show that a majority of Ohio voters continue to support state policies to encourage more use of clean energy, including a renewable portfolio standard and revised wind turbine setbacks — even in the state’s coal country region. Eighty-seven percent of voters statewide said they would tell elected officials to support policies that encourage energy efficiency and more renewable energy use, The Nature Conservancy of Ohio reported in a poll this week. Continue reading. 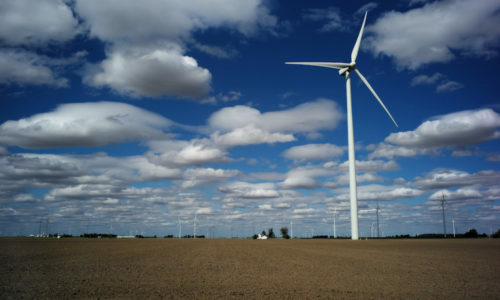 Photo by Tom Hart / Creative Commons: Wind turbines in Ohio. This entry was posted in NewsBlog and tagged Nebraskans for Solar, renewable energy news on September 1, 2017 by Helen Deffenbacher.